There are a wide variety of Linux distributions, but there are also a wide variety of distributions based on other Linux distributions. The official Ubuntu release with the Unity desktop is only one of many possible ways to use Ubuntu. You can try each of these derivatives by downloading its appropriate live CD, burning it to a disc, and booting from it – no installation required. Testing desktop environments is probably the best way to find the one you’re most comfortable with. Kubuntu is Ubuntu with the KDE desktop environment instead of Unity. Where Ubuntu started with GNOME, Kubuntu started with KDE. Historically, KDE has been the second-most-popular desktop environment for Linux. Kubuntu includes software written with the QT toolkit instead of GTK, which fits in better with the KDE desktop. 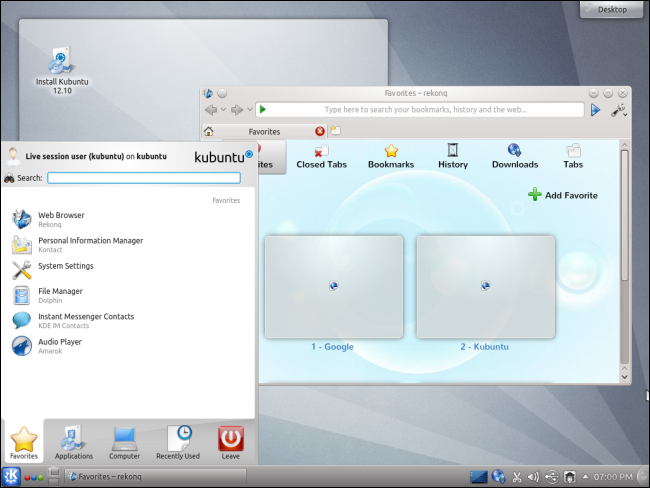 You can run Kubuntu applications on Ubuntu and Ubuntu applications on Kubuntu; they’ll just look a bit out-of-place. Rekonq is the default web browser on Kubuntu, but Firefox or Chromium can be easily installed. Xubuntu uses XFCE, which is designed to be a more lightweight desktop environment. 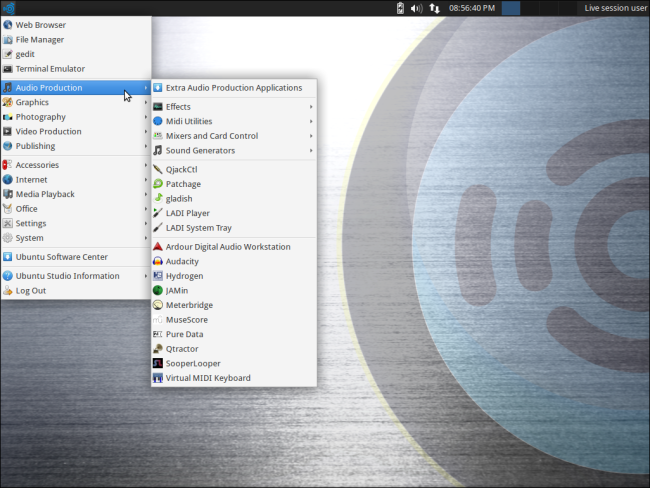 Like Ubuntu’s Unity and GNOME, it also uses GTK, so it comes with many of the same applications included in Ubuntu. Some people – Linux-creator Linus Torvalds included – prefer XFCE to GNOME and Unity because it provides a more traditional desktop experience without any full-screen application launchers. Lubuntu uses the LXDE desktop, which is even more lightweight than the XFCE desktop used by Xubuntu. Lubuntu is designed to be a fast and lightweight operating system with a minimal desktop and lightweight applications. It’s ideal for older computers that can’t keep up as well with heavier Linux desktop environments. Mythbuntu isn’t intended for Linux desktops and laptops. 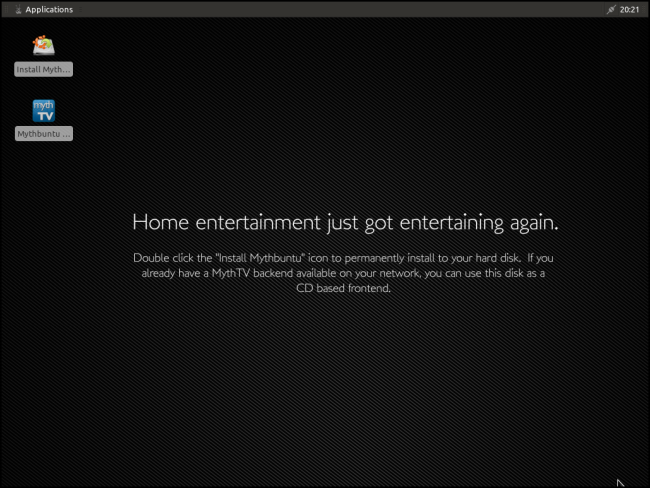 It’s an Ubuntu derivative for setting up MythTV-based personal video recorder (PVR) systems for your home theater. It uses the XFCE desktop, but standard desktop applications like Libreoffice aren’t installed by default. It’s still Ubuntu under the hood, so you can install anything you like. Ubuntu Studio is described as a “free, open, and powerful platform for creative people to create their art.” It also uses the XFCE desktop. Its main claim to fame is that it comes preinstalled with a variety of applications for audio production, graphics editing, photography, video production, and desktop publishing. You also have access to the full Ubuntu software repositories, so Ubuntu Studio can be more convenient than other specialized Linux distributions that don’t come with access to these software repositories. Edubuntu was previously named “Ubuntu Education Edition.” It’s an Ubuntu derivative designed for classrooms and kids. It uses the Unity desktop and includes Linux Terminal Server Project (LTSP) software for accessing applications running on servers, allowing the Edubuntu machine to be used as a thin client. It also includes a variety of educational programs. 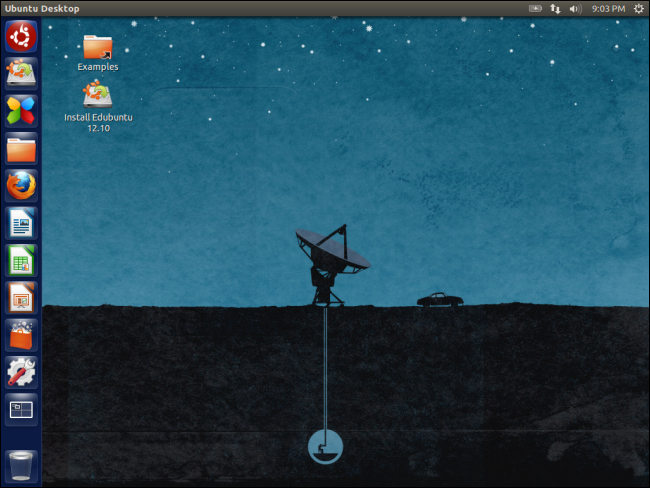 Ubuntu previously used the GNOME 2 desktop in its official releases. 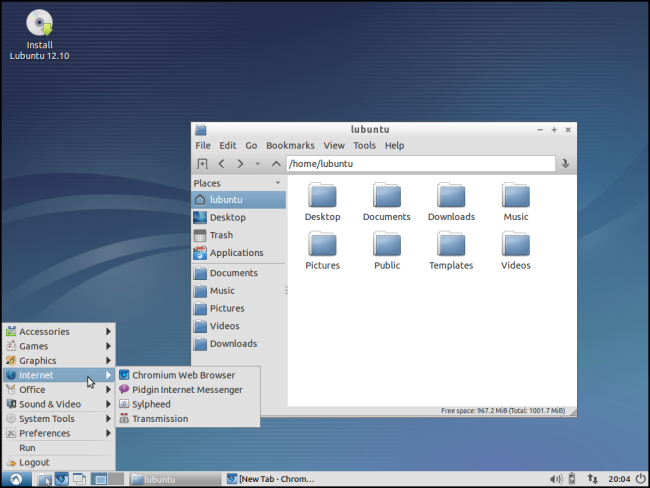 When GNOME 3 was released, Ubuntu started using its own Unity desktop by default, although much of the underlying software still comes from the GNOME project. Ubuntu GNOME Remix is an unofficial Ubuntu derivative that uses GNOME Shell instead of Unity. 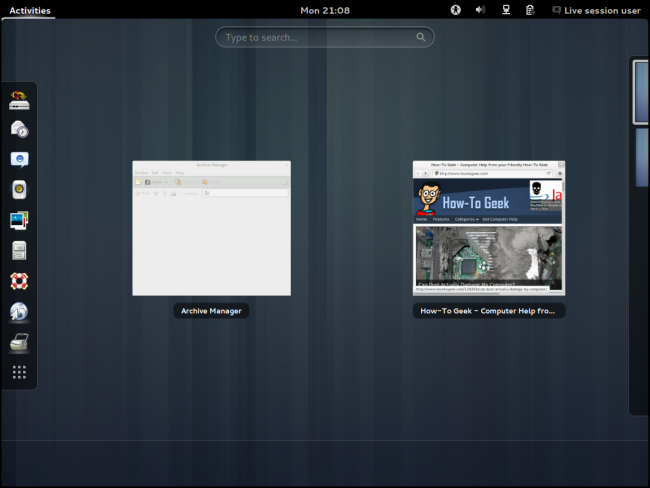 It also includes other GNOME applications by default, like the Epiphany web browser instead of Firefox. It’s designed for people that want to experience the latest GNOME desktop on Ubuntu. Linux Mint started as an Ubuntu derivative, but it’s evolved into a more distinctive project that’s regarded its own Linux distribution. 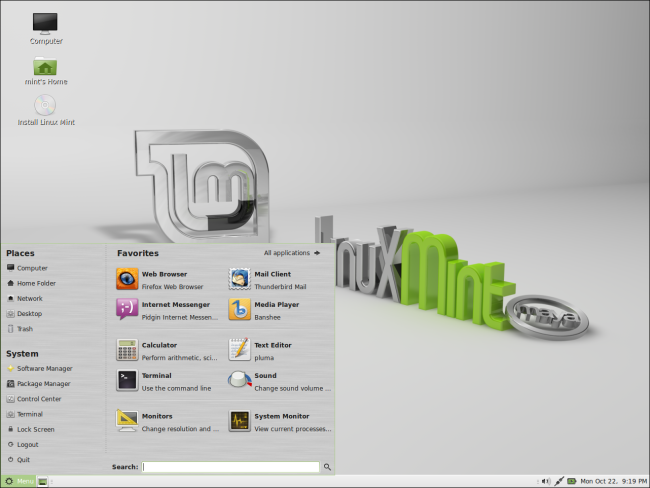 Nevertheless, Linux Mint is still based on Ubuntu, although there’s also a version of Linux Mint based on Debian (Linux Mint Debian Edition). It’s not officially supported by Ubuntu, but it’s become increasingly popular. Read more: HTG Explains: What’s the Difference Between Ubuntu & Linux Mint? You can actually install many of these desktop environments on Ubuntu, if you want to play with them. Your application menus will be more cluttered if you install everything on one system, though. Do you prefer another Ubuntu derivative? Leave a comment and share it!